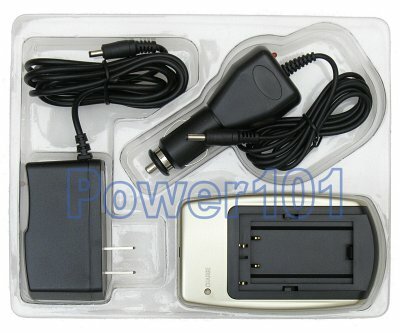 This is a standard generic charger for Minolta NP-400 NP-800 and Nikon EN-EL1 batteries. It has fully-automatic charging circuitry with automatic shutoff when the battery is fully charged. 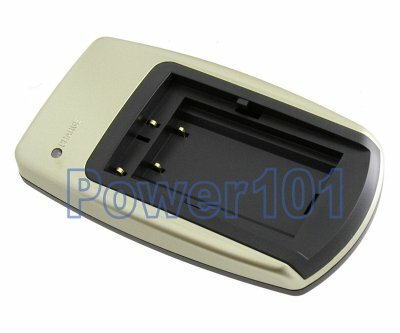 This charger does not require multiple plates to charge NP-400 or EN-EL1 batteries unlike some other multi-plated chargers. It is designed with both layouts in one place so that either NP-400 NP-800 or EN-EL1 fits right away.